It’s no wonder that Alaska is attracting Australians in record numbers. The vast wilderness, huge range of activities for all tastes and budgets and the sheer sense of adventure is a wonderful attraction for outdoor-loving Aussies. 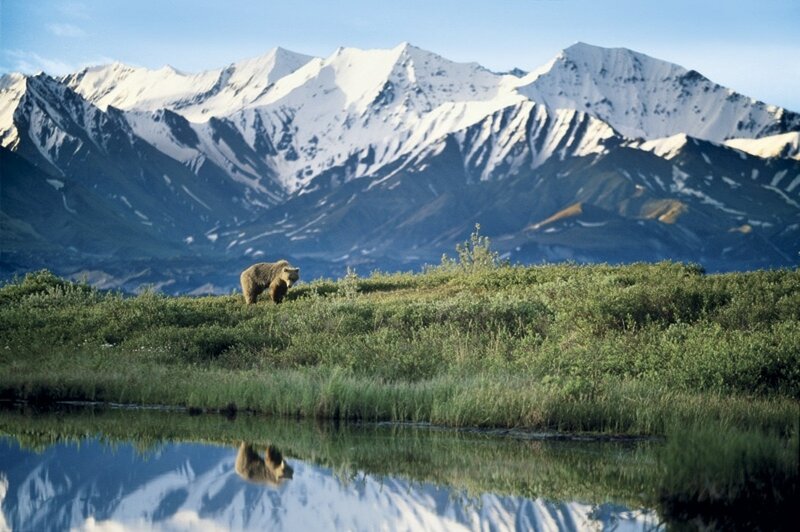 But Alaska’s tourism season is short and frantic and the best attractions sell out quickly, so first-timers are advised to plan carefully with the assistance of an experienced agent. 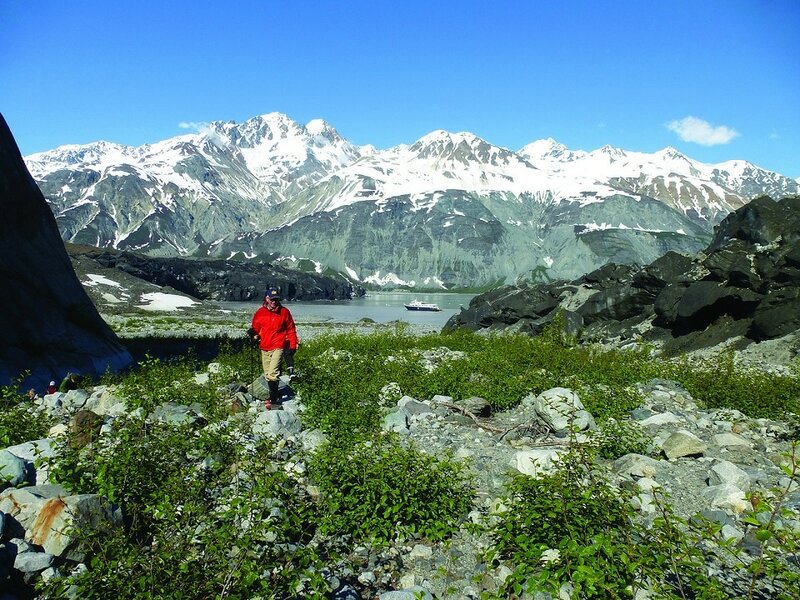 Any visit to Alaska should include both land and sea components to gain full insight into this rich and varied destination. 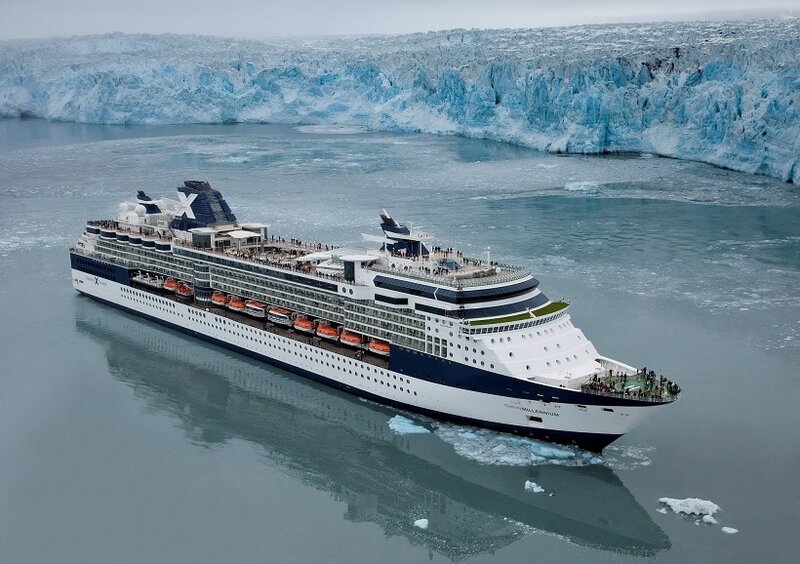 Alaska’s famous Inside Passage is where the vast majority of cruising takes place, whether you have chosen the big or small ship option. Bordered by stunning mountain ranges with dense forest to the shoreline and calm, deep waterways, the Inside Passage is a 1500 kilometre sheltered sea extending from Seattle Washington to Skagway in Alaska. Most commonly claimed by the Alaskans because of its enormous tourism appeal, the protected waterways were originally explored by early navigators as a way to escape the dreadful weather in the Pacific Northeast. Very soon tales of this most agreeable land and the favourable passage were widespread in maritime circles. During the northern summer tourist season (mid-May to mid-September) the seaborne traffic through the passage gets pretty hectic. The big cruise ships from lines such as HAL, NCL and Princess, each carrying around 2000 passengers, loaf along the tranquil waters, soaking up the crisp air and eye-popping scenery. Stopping occasionally at the little villages and towns, the enterprising locals come out in force to embrace the cashed-up tourists. 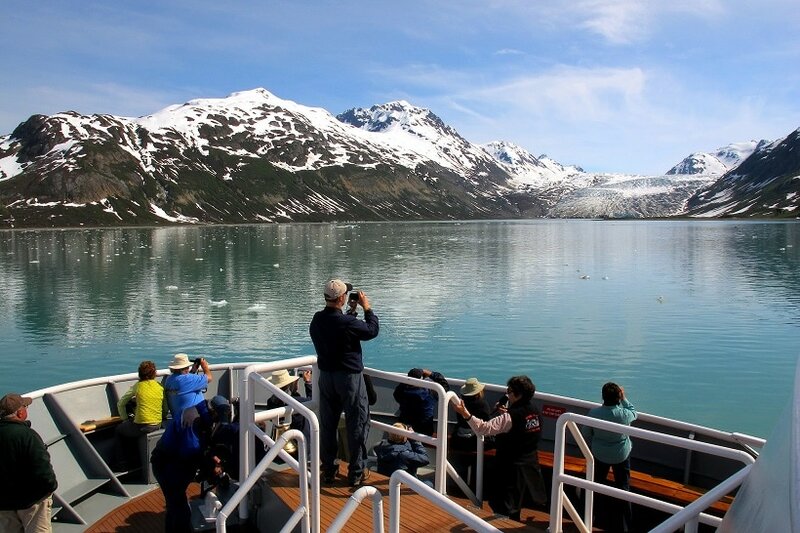 Small ship options are a fascinating way to explore the truly wild Alaska. 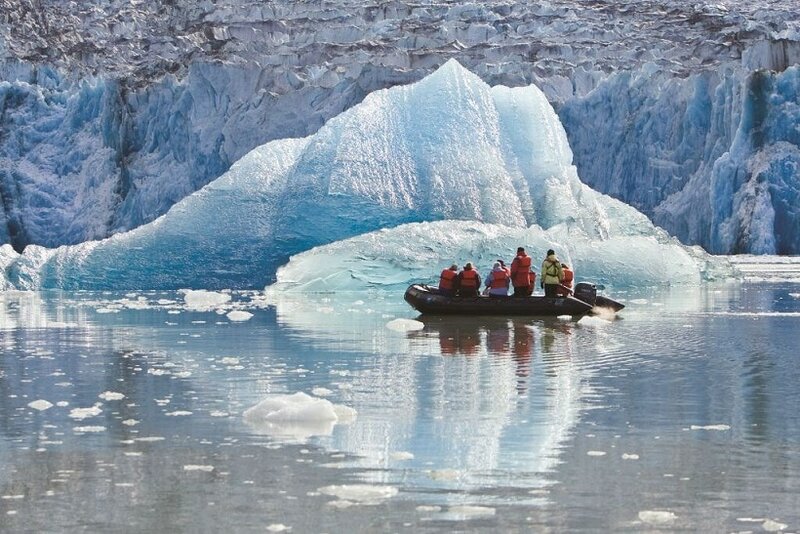 Adventure cruise options available from such operators as Lindblad Expeditions, Un-Cruise, Alaskan Dream Cruises and others will permit much more intimate exploration of these glorious waters. Excursion by Zodiac is the preferred method, where a dozen passengers and a guide can investigate wildlife sightings, birds, plants and geographic features at leisure. These vessels typically carry less than 50 passengers into some of the most remote and secluded nooks and crannies along the Passage where you can get up close (but not too close) to calving glaciers while escorted by pods of orcas and inquisitive seals. 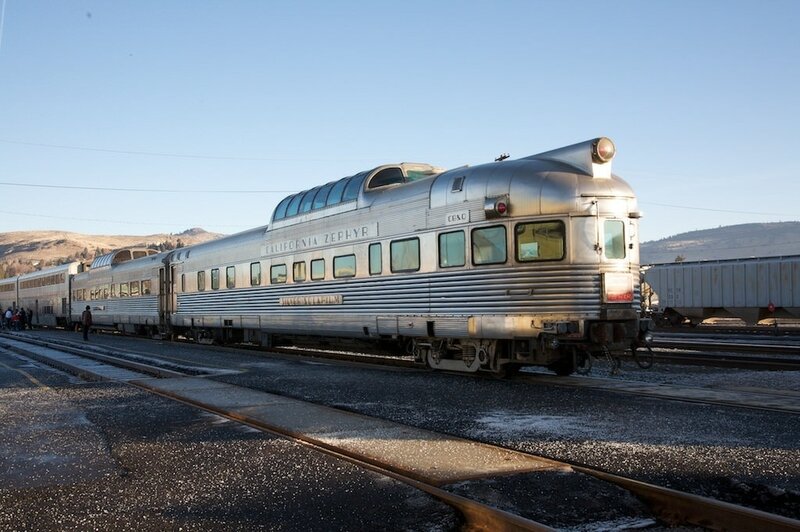 The iconic tourism attractions like the abundance of glaciers in Prince William Sound, the delightful Alaska Railroad and the awe-inspiring Denali National Park should all be considered, but just remember, everyone else is too. This is where booking with an experienced agent is important. Don’t let a rookie mistake spoil your expensive holiday. Apart from the enormous variety and scope of natural attractions, there is a refreshing perspective on indigenous tourism in Alaska. “First nation” families run many of the museums and guided tours in and around the little towns like Petersburg, Ketchikan and Wrangell. 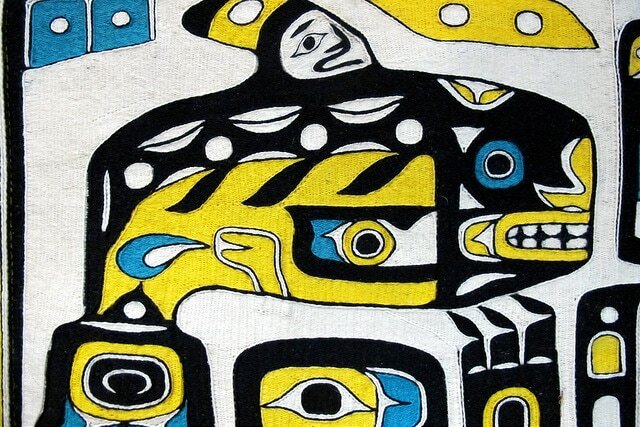 An exquisite piece of Alaskan native artwork is a magnificent souvenir. Many visitors are also taking the self-drive alternative. Using a regular car or self-contained campervan/motorhome, Alaska is the ideal location for experienced road warriors with excellent roads, campgrounds and planning material. Tourism in Alaska is a major business and everyone from local, ‘mom and pop’ stores to government bodies are fully tuned in to deliver the most rewarding experiences possible. The official state website for travellers is www.TravelAlaska.com and is packed with tips, guides, maps and planning tools for both the experienced and novice traveller. The hardcopy, 106-page vacation planner is a virtual encyclopaedia of holiday options and can be obtained from most travel agents. Images: Roderick Eime and supplied. 1 Chilkat Robe in Sitka Historical Museum.